Or put another way, you need to understand what you are comfortable to lose without your life being drastically altered. 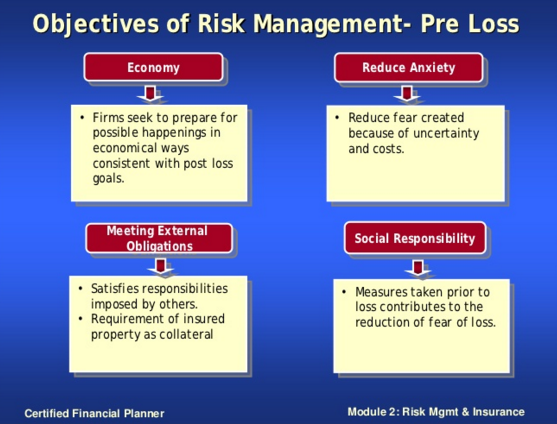 Below we present some charts introduced in the presentation on Risk Management. As you can see it is important first to understand the steps to be taken in Risk Evaluation. 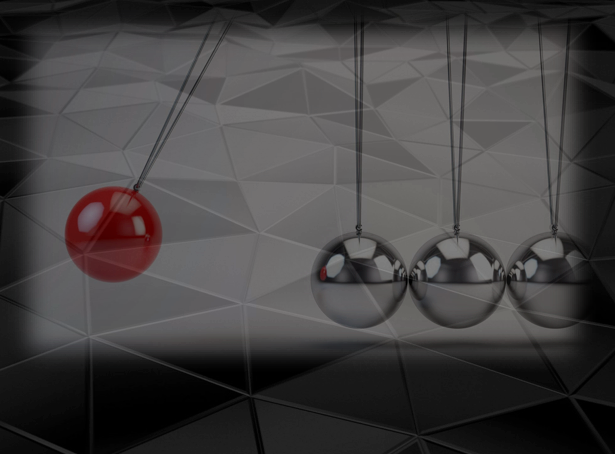 People have different attitudes towards risk and reward. You need to understand about yourself the level of risk that you are prepared to take for different kinds of rewards. Often it may be the case that the more risk you are prepared to take, the greater the reward from doing so. Many people prefer to take a conservative approach in this regard. You need to understand in your case whether potential of each investment will outweigh the potential risk. It is not usually possible to determine this precisely, but it is usually possible to be able to rate the risks from small to very large. AS well as this, you need to understand what the impact will be for you if the risks come into being. 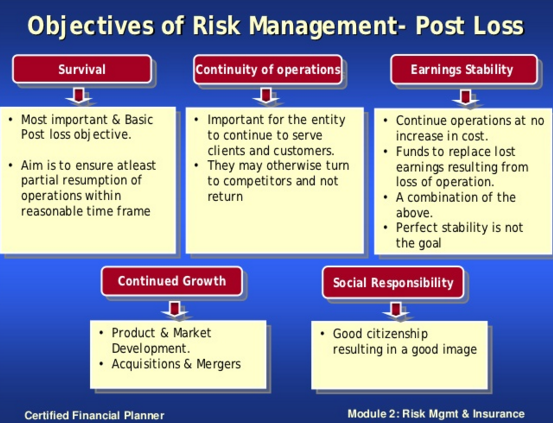 Also it would be very useful to evaluate the Pre Loss and Post Loss cases as it shown in the charts below and set the targets in order to be more prepared and create a plan to cope with the most damaging risk-exposed consequences. There are ways to mitigate risks which can be helpful. (1) One approach suggested is to diversify the investment portfolio. 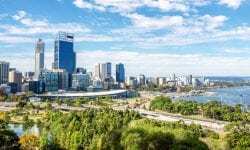 By investing in different sectors and different regions for the long side you will be protecting yourself much more effectively from risk than if you decided to put all of your money into one sector. It is suggested on the long side that it is helpful to largely choose companies that pay dividends, because this “offers you the increased resiliency to bear markets”. That is because they are simply bigger companies and better established and so less likely to go drastically wrong (though of course it is always possible). You might however consider investing a smaller chunk of the portfolio into a younger, smaller company in an industry that is booming. These companies are riskier for obvious reasons, and this is why you should only invest small in these. If it does well in the longer term you will also do very well from your investment. However, if it goes under then you will not lose too much. Considering the short side it is important to not go for companies that have been losing money. Choose instead companies that have a good debt-to equity ratio and a healthy operational cash flow. Additionally, do your research and check that the stock has not been falling. There are less ways to mitigate risk in the short situation. One approach is argued to be not initiating too great of a position. The second is to put in place call options, but this is not 100% effective and reliable. If you hope to short high yield bonds you can mitigate risk by purchasing shares with a limit order rather than a market order. This helps to make sure that you get in at your price. This means that if you are right on default rates you may have got in before others. This helps you to be able to find a buyer for your shares if need be. Whatever way you look at it, investing does not come without risks. 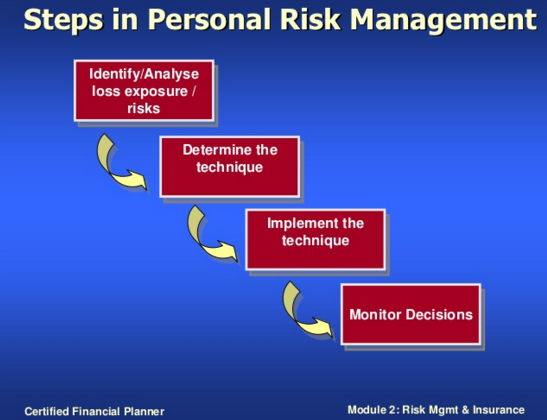 However, creating a personal risk management plan can help you to best manage and mitigate yours. This helps you to be able to generate a return that you are comfortable with on the short and long side. It also enables you to understand how far you are prepared to go in terms of taking risks. Having thought this through carefully and analysed it and created a personal risk management plan you are less likely to make poor decisions when investing.